When I first started Bible journaling, I found myself doing a lot of searching. 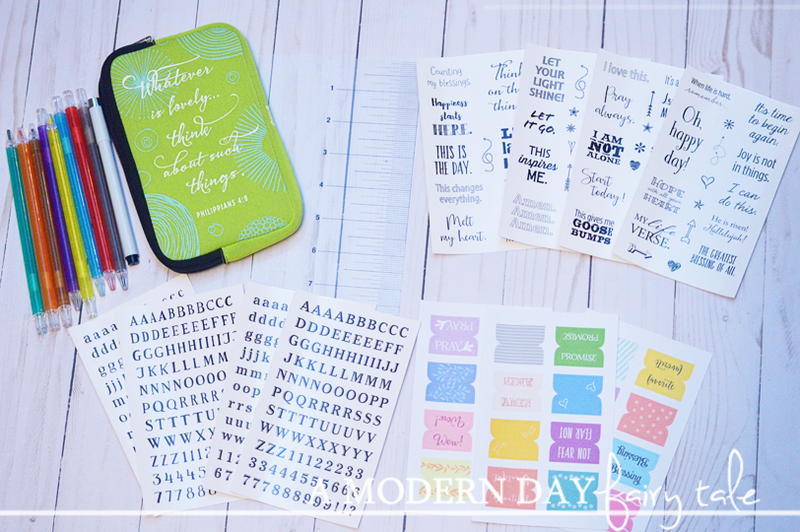 I would spend hours upon hours browsing the sticker sections of my local craft stores trying to find just the right pieces to include in my journaling. But I soon found out that finding the right supplies in my everyday craft store was a little difficult. I would find some that I liked of course (more than I could count, if I were to be entirely honest)... but none that were just what I needed. I would find gorgeous designs that were just my style, but the phrases would be all wrong. The Christian themed stickers? Well, to be honest the ones I found at the time were a little old fashioned for my taste. 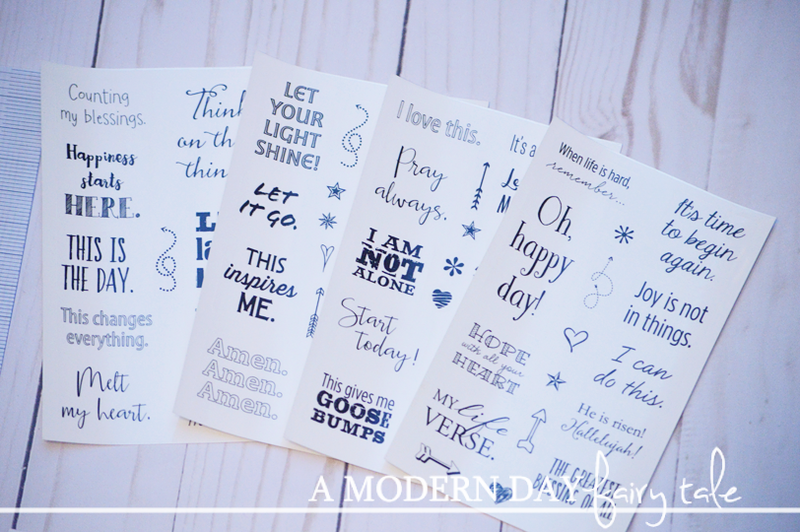 I wanted to find great stickers to use in my journaling that featured fun Christian messages... but still looked fun? Was that too much to ask!? In time I did begin to figure out just where to find these products, but when you are just starting out, that can be a little overwhelming. What I needed then was a simple starter set just to get me started. 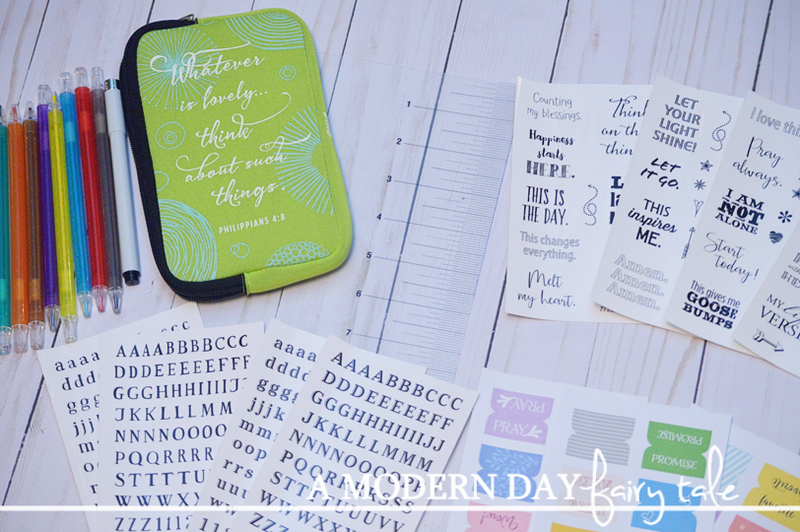 With the increasing popularity of Bible journaling, more and more of these sets are beginning to emerge! When I first saw this kit I couldn't help but think it would be perfect for someone just starting out. It has your colored pencils, your journaling pen, alphabet stickers and word stickers... all of these pieces that I searched for in those beginning stages, and had to put together piece by piece and all things that I suggest for beginners to start with. This puts them all in one convenient package, with a handy carrying pouch too. Now, I'm not saying this is absolutely everything you need to Bible journal as there are certainly things I would personally add myself- stamps, paints and washi, for instance... BUT it is a good way to get started without buying a ton of supplies right from the start. Even as an experienced journaler, I enjoyed this kit. Personally I have found one supply I cannot have too many of is letter stickers! I am not good with hand lettering so these come in very handy. It is for this reason I also enjoy stickers with phrases that go with what I'm journaling. The stickers included in this kit were perfect and provided some great inspiration! I know that all of these supplies will make a great addition to my Bible journaling and I cannot wait to use them all! 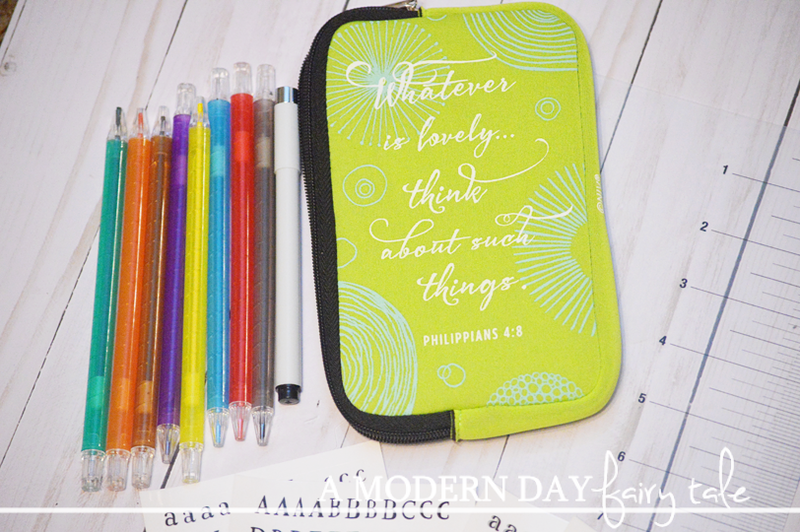 If you have a beginning Bible journaler on your holiday list, this is one gift they will LOVE! Want to win one for yourself AND download some free coloring page? Go here to enter to win one of 5 kits. Winner will be contacted via e-mail after giveaway ends, and will have 48 hours to respond before a new winner is chosen. One entry per household, winning entry will be verified. Odds of winning depend on valid entries received. A Modern Day Fairy Tale is not responsible for prize delivery. Disclosure: Karen’s Got Mail, Capturing the Moment and the Happy Holidays Giveaway Hop participating bloggers are not responsible for sponsors who do not fulfill their prize obligations. Facebook, Twitter, Pinterest and any other social media are not affiliated with this giveaway. that would be an amazing kit to win! Thanks for the chance and Happy thanksgiving! I love inspirational gift giving, nothing better than lifting someone up.